Conditions of Use : Diamond Rings, Wedding Rings, Wedding Bands, Matching Rings, and Engagement Rings., America's Largest Engagement Ring and Wedding Band Distributor. Welcome to Joshua's Jewelry Inc. The terms "you", "your", and "yours" refer to the customer/purchaser utilizing our Site(s). The terms "Joshua's Jewelry" "joshuasjewelry.com", "we", "us", and "our" refer to Joshua's Jewelry, short for Joshua's Jewelry Inc..
We reserve the right to change the nature of this relationship at any time and to revise these Terms and Conditions from time to time as we see fit. If you violate the terms of this Agreement you will have your access canceled and you may be permanently banned from using the Site and any interactive services. You should check these terms and conditions periodically. By using the Site after we post changes to these Terms and Conditions, you agree to accept those changes, whether or not you actually reviewed them. Entering the Site will constitute your acceptance of these Terms and Conditions. If you do not agree to abide by these terms, please do not enter the Site. WE RESERVE THE RIGHT TO REFUSE SERVICE TO ANYONE. Please review our Privacy and Security Statement, which also governs your visit to the Site, to understand our practices. You may not modify, remove, delete, augment, add to, publish, transmit, participate in the transfer or sale of, create derivative works from, or in any way exploit any of the Content, in whole or in part. you may not upload, post, reproduce, or distribute in any way content protected by copyright, or other proprietary right, without obtaining permission of the owner of the copyright or other propriety right. You may not download (other than page caching) or modify the Site or any portion of it, without our express, written consent. This includes: a prohibition on any resale or commercial use of the Site or its contents; any collection and use of any product listings, pictures, descriptions, or prices; any derivative use of the Site or its contents; any downloading or copying of account information for the benefit of another merchant; and any use of data mining, robots, or similar data gathering and extraction tools. The Site or any portion of the Site may not be reproduced, duplicated, copied, sold, resold, visited, or otherwise exploited for any commercial purpose without our express, written consent. You may not frame or utilize framing techniques to enclose any trademark, logo, or other proprietary information (including images, text, page layout, or form) of joshuasjewelry.com without our express, written consent. You may not use any meta-tags or any other "hidden text" utilizing our name or trademarks without our express, written consent. If you use the Site, you are responsible for maintaining the confidentiality of My Account and password and for restricting access to your computer, and you agree to accept responsibility for all activities that occur under My Account or password as well as updating your information as needed. We and our affiliates reserve the right to refuse service, terminate accounts, remove or edit content, or cancel orders in our sole discretion. All items purchased from us are shipped with either USPS/UPS/FedEx. All items are insured with USPS/UPS/FedEx while their delivering. We are not responsible for any loss after the customer receives the merchandise. After the customer receives the merchandise they are responsible to insure their diamond through their own insurance company. We are not responsible for any losses due to items sent back for repair or exchanges after we reship the item or items back, the customer must contact us within 180 days after the item has been shipped to file a claim with our insurance carrier. After 180 days, the loss cannot be claimed, and we cannot guarantee a funds or merchandise. It is the responisibility of the buyer to contact us if his or her package has been lost so we have enough time to file claims on the shipments that we ship to the buyer. We are not responsible for the content of any sites that may be linked to or from joshuasjewelry.com. These links are provided for your convenience only and you access them at your own risk. Any other website accessed from our Site are independent from JoshuasJewelry.com, nor Joshua's Jewelry Inc. has no control over the content of that other website. In addition, a link to any other web site does not imply that Joshua's Jewelry endorses or accepts any responsibility for the content or use of such other website. The Site is provided on an "AS IS," "as available" basis. Joshua's Jewelry, joshuasjewelry.com, nor each of their respective officers, directors, employees, agents, third-party content providers, designers, contractors, distributors, merchants, sponsors, licensors or the like (collectively, "Associates") warrant that use of the Site will be uninterrupted or error-free. 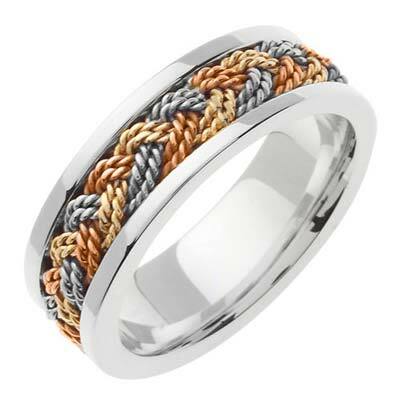 Neither Joshua's Jewelry, joshuasjewelry.com, nor its Associates warrant the accuracy, integrity, or completeness of the Content provided on the Site or the products or services offered for sale on the Site. Further, we make no representation that Content provided on the Site is applicable or appropriate for use in locations outside of the United States. Joshua's Jewelry, joshuasjewelry.com, specifically disclaims warranties of any kind, either expressed or implied, including but not limited to warranties of title or implied warranties of merchantability. 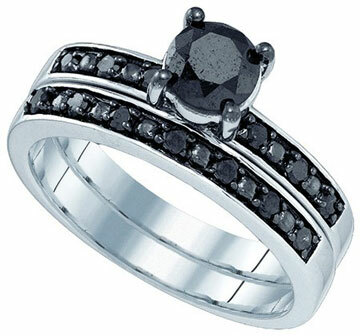 No oral advice or written information given by Joshua's Jewelry, joshuasjewelry.com, Bridal Ring Shop, bridalringshop.com, or its Associates shall create a warranty. You expressly agree that the use of the Site is at your sole risk. Under no circumstances shall Joshua's Jewelry, joshuasjewelry.com, or its Associates be liable for any direct, indirect, incidental, special, or consequential damages that result from the use of or inability to use the Site, including but not limited to reliance by a user on any information obtained at the Site, or that result from mistakes, omissions, interruptions, deletion of files or e-mail, errors, defects, viruses, delays in operation or transmission, or any failure of performance, whether or not resulting from acts of God, communications failure, theft, destruction or unauthorized access to Joshua's Jewelry, joshuasjewelry.com records, programs or services. The foregoing limitation of liability shall apply whether in an action of contract, negligence, or other tortuous action, even if an authorized representative of Joshua's Jewelry, joshuasjewelry.com, Bridal Ring Shop, or bridalringshop.com, has been advised of or should have knowledge of the possibility of such damages. You hereby acknowledge that this paragraph shall apply to all content, merchandise and services available through the Site. Because some states do not allow the exclusion or limitation of liability for consequential or incidental damages, in such states liability is limited to the fullest extent permitted by law. Joshua's Jewelry, joshuasjewelry.com, is not responsible if the diamonds is not natural in anyway, as we buy are diamonds from diamond manufacturers that do not work for us. Although we take steps to ensure the accuracy and completeness of products that are posted on the Site. You agree to use Joshua's Jewelry, joshuasjewelry.com, only for lawful purposes. You are prohibited from posting on or transmitting through Joshua's Jewelry, joshuasjewelry.com, any unlawful, harmful, threatening, abusive, harassing, defamatory, vulgar, obscene, sexually explicit, profane, hateful, racially, ethnically, or otherwise objectionable material of any kind, including but not limited to any material that encourages conduct that would constitute a criminal offense, give rise to civil liability, or otherwise violate any applicable local, state, national, or international law. If we are notified of allegedly infringing, defamatory, damaging, illegal, or offensive Content provided by you (e.g., through an author chat or online review), Joshua's Jewelry, joshuasjewelry.com, may investigate the allegation and determine in its sole discretion whether to remove or request the removal of such Content from the Site. We may disclose any Content or electronic communication of any kind (i) to satisfy any law, regulation, or government request; (ii) if such disclosure is necessary or appropriate to operate Joshua's Jewelry, joshuasjewelry.com; or (iii) to protect the rights or property of Joshua's Jewelry, joshuasjewelry.com, Bridal Ring Shop, bridalringshop.com, its Associates, and you. We reserve the right to prohibit conduct, communication, or Content that it deems in its sole discretion to be unlawful or harmful to you, Joshua's Jewelry, joshuasjewelry.com, or any rights of Joshua's Jewelry, joshuasjewelry.com, or any third party. Not withstanding the foregoing, neither Joshua's Jewelry, joshuasjewelry.com, nor its Associates can ensure prompt removal of questionable Content after online posting. Accordingly, neither Joshua's Jewelry, joshuasjewelry.com, nor any of their officers, directors, employees, or agents, nor Associates assumes any liability for any action or inaction with respect to conduct, communication, or Content on joshuasjewelry.com and bridalringshop.com. We may terminate your access or suspend your right to access to all or part of the Site, without notice, for any conduct that we, in our sole discretion, believe is in violation of any applicable law or is harmful to the interests of another user, Associates, or Joshua's Jewelry, joshuasjewelry.com. In addition, we reserve the right to refuse an order from any customer at our sole discretion. We cannot prohibit minors from visiting the Site. We must rely on parents, guardians and those responsible for supervising children under 18 to decide which materials are appropriate for such children to view and/or purchase. By visiting the Site, you agree that the laws of the State of California, without regard to principles of conflict of laws, will govern these Terms and Conditions and any dispute of any sort that might arise between you and Joshua's Jewelry, joshuasjewelry.com. User agrees to pay all charges to credit card from Joshua's Jewelry. The statement could read "Joshua's Jewelry Inc." or just "Joshua's Jewelry". I understand that I will be charged a 15% restocking fee minus the shipping costs on my order if I decide to return the merchandise for any reason, this also applies when my credit card has been charged. I understand that I may not return any merchandise whether damaged or new which has exceeded 30 days from the date of purchase. Any order which engages the use of the Lay-Away Plan refuses the 30 day guarantee and all payments made will be automatically considered NON-REFUNDABLE, NON-RETURNABLE, and NON-EXCHANGEABLE. I also understand that since JJ is the only jewelry store that sells rings in quarter-sizes, and that any merchandise which is ordered in a quarter-size is also considered non-refundable, being that the item cannot be restocked again. I understand that any personalized merchandise due to engraving or any other personalization method automatically disqualifies the option for any returns as well as exchanges. I understand that if my order was considered a special order that automatically disqualifies for any returns or exchanges. I understand if I alter any item in any manner from which I had purchased I will not be able to return it to Joshua's Jewelry Inc.. No merchandise can be returned or exchanged when the jewelry tag has been removed; this is considered to be worn jewelry and is automatically NON-REFUNDABLE. It is the responsibility of the buyer to get an RAN# (Return Authorization Number) before returning/exchanging an item, No merchandise will be accepted, whether it is for return, exchange, or repair without an RAN#. Joshua's Jewelry Inc., Bridal Ring Shop, or bridalringshop.com, is not liable for any merchandise which is lost due to shipping carriers, Please insure all merchandise and obtain a tracking method from the shipping carrier. Most of our merchandise come is stock sizes of 6.75,7,10, and/or 10.5. We at Joshua's Jewelry do not charge for sizing when the orders is being placed, therefore once we size the item/items we cannot restock nor exchange the item/items. This is a type of personalization that is done for the the person making the purchase and cannot be undone. If you are unsure about the item you are purchasing, make sure you order in a stock size so you can qualify for an exchange or restock (restocking fee will apply) (Sizing charges will also apply if not done atthe time of placing the order). Please note: Stock Sizes do not apply to solid wedding bands or hand made wedding bands. We do not discriminate on the basis of age, race, national origin, gender, sexual orientation or religion. We reserve the right to cancel your order without any reason and refund your money at our sole discretion. If for any reason, a reimbursement needs to be made to the consumer, Joshua's Jewelry Inc. reserves the right to choose the method of reimbursement. Please note: The price of gold, platinum, silver, and other metals are always fluctuated in the jewelry industry; it is the responsibility of the consumer to ask questions before making any purchases. (All questions are always answered in a timely fashion.) If there will be any price changes for the item you are purchasing, you will be held responsible if the price of the metals go up. Also, if the weight of the item has exceeded the normal weight pattern due to factory conditions, the extra weight will be the responsibility of the consumer, regardless what the purchase price was at the time of purchase. Please ask any questions before making your purchase. We want all customers to be happy with their purchase. Any dispute relating in any way to your visit to the Site or to products you purchase through the Site shall be submitted to confidential arbitration in Los Angeles, CA., except that, to the extent you have in any manner violated or threatened to violate Joshua's Jewelry, joshuasjewelry.com, intellectual property rights, Joshua's Jewelry, joshuasjewelry.com, may seek injunction or other appropriate relief in any state or federal court in the State of California, and you consent to exclusive jurisdiction and venue in such courts. Arbitration under this Agreement shall be conducted under the rules then prevailing of the American Arbitration Association. The arbitrator's award shall be binding and may be entered as a judgment in any court of competent jurisdiction. To the fullest extent permitted by applicable law, no arbitration under this Agreement shall be joined to an arbitration involving any other party subject to this Agreement, whether through class arbitration proceedings or otherwise. For Current Pricing on any item, please CALL or EMAIL us so we can give you quote for the price on that current day. On certain orders such as wedding Bands, we do not go by step pricing as is the function on the website, Some rings come out heavier and some rings have more labor costs. This means that on some of the big rings and large sizes the rings can cost more than what is actually stated on the website. We reserve the right to refuse service to anyone. We have to go by what the weights and labor costs which are in the industry standards. If as a consumer you are unsatisfied with this process. Please do not order from us. We try our best to satisfy the consumer . 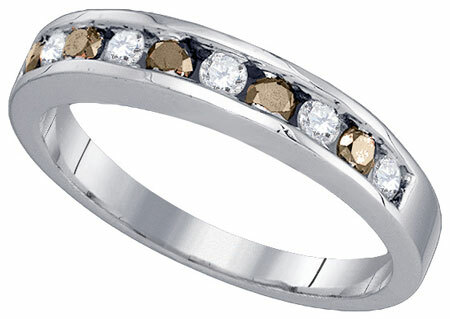 As of January 1st, 2008, all wedding bands, his & hers wedding sets, and three piece wedding sets are all considered Special Order, the 30-Day Money Back Guarantee no longer applies to these categories, if you have any questions regarding this issue, feel free to contact us BEFORE placing your order. All 18K and Rose Gold items are also considered Special Order and cannot be exchanged or returned. IF YOUR ORDER IS PENDING, IT IS THE RESPONSIBILITY OF THE CUSTOMER TO RESPOND BACK TO US VIA TELEPHONE SO WE CAN START PROCESSING THE ORDER. IF NO RESPONSE IS MADE BY THE CUSTOMER WITHIN 10 BUSINESS DAYS THE ORDER WILL BE CANCELLED AT OUR DISCRETION. WE DO NOT PROCESS ANY ORDER WITHOUT TALKING TO THE CUSTOMER... IF YOUR ORDER IS NOT PROCESSING, THAT MEANS WE NEED TO SPEAK WITH YOU... WE ARE NOT RESPONSIBLE FOR ORDERS THAT ARE PENDING WITHOUT ANY RESPONSE FROM THE CUSTOMER... IF YOU HAVE ANY QUESTIONS ABOUT ANY ITEM, PLEASE CONTACT US BEFORE PLACING YOUR ORDER... WE ARE HERE TO HELP YOU... WE OFFER THE BEST PRICE FOR THE BEST QUALITY MERCHANDISE. Bridal Ring Shop - a division of Joshua's Jewelry Inc. Please Note: If any part of our website, whether text or photo, has been copied from our website without the consent of Joshua's Jewelry Inc., they will be prosecuted to the maximum extent of the law. We take plagiarism very seriously.